A real shake up in the market with Andy Murray and Chris Froome going out in spectacular fashion just as their odds were significantly contracting. It really does seem the award that no-one wants to win. This has led to Jonny Wilkinson and Carl Frock being well backed. We covered ourselves on Murray and Froome by laying them for their respective events to come out of it all unscathed. We have Gareth Bale and Mo Farah running for us and their prices have naturally come in a bit. Wilkinson is the really interesting one and we will have to keep an eye on him. For now we will keep a watching brief but there is still all to play for in this market with Lewis Hamilton still at the head of affairs after a successful British GP. We’re on the brink of a key period in the SPOTY year – Wimbledon second week, the Tour De France and the Commonwealth Games. We have two selections advised just over three weeks ago in Chris Froome and Andy Murray who are currently strong in the market. They were advised at 7/1 and 14/1 respectively and are now best priced 6/1 and 7/1. I would go so far as to say that if Murray won Wimbledon again he will win SPOTY again (if memory serves me correctly he went very heavily odds on for SPOTY after winning Wimbledon last year). It is difficult to imagine a performance during the rest of the year that could beat it for popularity. This makes the 7/1 that is still available with Betfred / Totesport very appealing as he is a best priced 3/1 to win Wimbledon. I think Murray should be favourite against anyone he plays during the tournament but of course he will likely have to beat two of the greats (Djokovic and Nadal (or Federer)) along the way which is not entirely straightforward. While the focus of the SPOTY market is on Murray, I think it is worth our while looking elsewhere in case Murray falters. If this happens the focus on SPOTY will shift to the Commonwealth Games, the two remaining golf majors and the Ryder Cup and back to the F1 Championship (where Lewis Hamilton has lost more ground recently to Nico Rosberg). 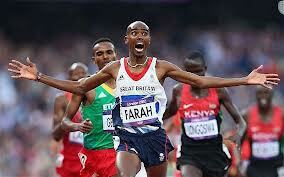 Mo Farah has confirmed he is to run in Glasgow. He would be our most high profile performer (although he would be running for England in Scotland which complicates things a little) and it is worth getting him onside at a big price. I can only see his price getting shorter if he turns up and we can look to potential lay him off to win his events nearer the time if necessary as he will probably be a short price to win them. His price will get significantly shorter if Froome or Murray do not win. I can’t resist getting Gareth Bale on board at 33/1 each way. He’s the world’s most expensive footballer currently (which still hasn’t really sunk in). A great player. He, along with Lizzy Yarnold, remain the only contenders to really have achieved anything at this point this year, with Bale scoring the ‘winning’ goal in the Champions League final. The key to this bet is that he must have a very good chance of making the short list of 10 and once there anything can happen. The Welsh are a force to be feared in SPOTY betting (Joe Calzaghe and Leigh Halfpenny are two recent examples) and I can see them really getting behind their man on the day. They may enjoy supporting him as a contrast to the English floundering in the World Cup. Agree with the above thinking? Think having Mo running for England in Scotland makes things too tricky to back him? Think that everyone will have forgotten about the Champions League final come December? Do feel free to comment on here or Twitter with any opinion you may have on the matter. It’s been an quite an interesting couple of weeks with some springers in the market. Jonny Wilkinson retired. He’s had a fantastic career and is a very honourable and admirable individual. An old-fashioned sportsman in many respects. I’d imagine the market is thinking along the lines of Ryan Giggs winning the award back in 2009. I think, though, it’s safe to rule him out of the reckoning – by December I can’t imagine many remembering him bowing out. Carl Froch won the rematch against George Groves at Wembley Stadium. Gareth Bale won the European Cup, or Champions League as the kids like to call it these days. He also had an instrumental part to play, scoring the crucial goal in extra time of the final to put Real Madrid 2-1 up. He’s a genuinely wonderful and captivating footballer. As it stands, Bale, Froch and Lizzy Yarnold, are essentially (bar Rory McIlroy winning the BMW) the only contenders in the list below to have won anything of real note so far. Bale is widely available at 20/1. I am struggling to ignore this price I have to say. There are many reasons why I think it is a decent each way bet. First and foremost he has been at the forefront of Real Madrid winning one of the biggest prizes in football. It is entirely feasible that during the next few months no British sportsperson wins much. Andy Murray could easily, indeed is likely to, come away empty handed this season. Lewis Hamilton may not win the F1 title (although is quite likely too, however, as I will mention in another post at some point, I am not convinced one can be too confident about him having a SPOTY winning profile). And it would be surprising if England did anything at the World Cup. Chris Froome must have a very good chance of winning the Tour for a second successive year (is odds-on now) and Mo Farah should win gold at the Commonwealth Games at the end of July. There is of course room for a left field contender. I can’t see cricket capturing the imagination too much this summer though but possibly it could come from the Ryder Cup or Commonwealth Games. 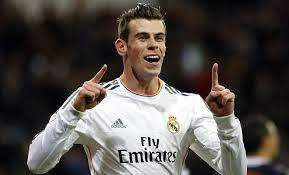 By December there could easily be no stand out performer, at which point Bale’s credentials will seem attractive. Even at this stage it seems he will be shortlisted (usually 10 are on the shortlist). The Welsh will not be afraid to vote for him either as they have proved time and again with their sons. Steven Gerrard in 2005 had a fairly similar profile and came third. That was the year Liverpool won the European Cup. Gerrard also got bronze in that year’s Ballon d’Or in the weeks before SPOTY. Please, as always, feel free to comment and discuss anything I have posted and the latest in the SPOTY markets.